Automaker Hyundai is issuing another recall. 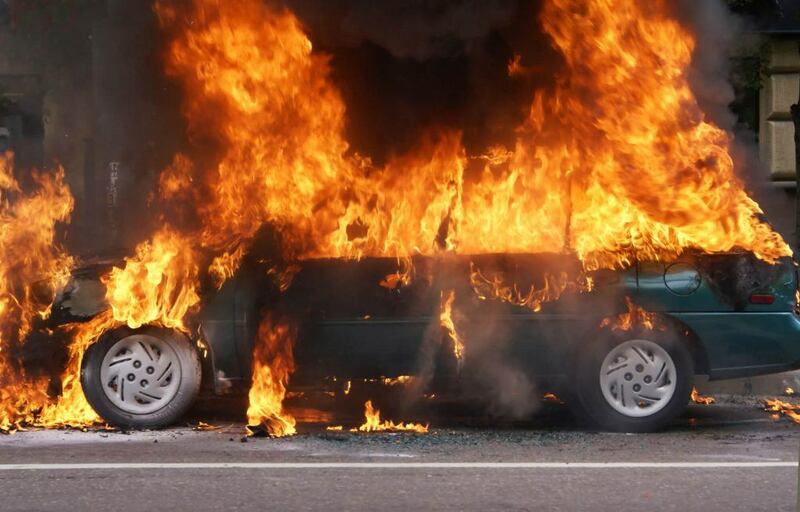 This time it’s to fix a problem that may cause vehicle fires. This new issue has affected over six million cars in the last three years. Under pressure from federal safety regulators, the Korean automaker is recalling roughly 20,000 Veloster vehicles throughout North America, including Canada. The main concern is that fuel could prematurely burn in the cylinders. This could cause extreme pressure and trigger the engine to fail or catch on fire. This is a different recall from the one in 2015 that involved Hyundai and its partner, Kia. Both auto manufacturers have been inundated by complaints from customers about engine and vehicle fires. This latest recall only applies to the 2013 Veloster vehicles with a 1.6-liter engine because of a software problem. A Hyundai spokesperson said updated software will be installed in the recalled cars. Jason Levine with the consumer group, Center for Auto Safety, has lobbied to seek more recalls from Hyundai and Kia vehicles because the engine problems continue to involve more vehicles. Levine said the Veloster recall brings up the question of how many cars should really be recalled for fire and engine problems. He pointed out that Hyundai and Kia have recalled a smaller number of vehicles stating that the issue is only unique to specific models of cars. However, they later found out that more vehicles were involved. Hyundai and Kia have recalled over two million vehicles that can cause engine failures and vehicle fires since 2015. The manufacturers are also promoting a campaign to improve their product by installing software in nearly four million vehicles and alerting drivers of potential engine failures. The National Highway Traffic Safety Administration (NHTSA) is investigating why both automakers are slow to fix defective cars. Both Hyundai and Kia seem to be dragging their feet on a full recall because of the potential costs involved. However, product manufacturers owe their customers the highest duty of care. Manufacturers often put their own interests before consumer safety, and that’s unacceptable. The right thing to do is issue a full recall for all vehicles with a faulty engine. Watch YouTube Video: Recall Demanded Nearly 3 Million Kia and Hyundai Vehicles. This news clip from ABC News discusses the recall that affects millions of vehicles from Hyundai and Kia. The lawsuit claims that the Theta II engines are known to have a defect that limits the flow of fuel to the engine, which causes the engine to fail, stall, seize and catch fire. The plaintiffs allege that both Hyundai and Kai knew about the problem since 2015 and took their time warning consumers. The plaintiffs also claim that even when the engines were replaced, the cars continue to face the same issues. The plaintiffs said they are stuck with vehicles that are not worth what they should be because of the manufacturers’ failure to repair the defects. I’m Ed Smith, a Wheatland Car Accident Lawyer. If you or a family member has been injured in an accident involving a faulty vehicle engine, you’ll need the help of an auto products liability attorney. Call me today at (530) 392-9400 or (800) 404-5400 so I can provide you with free and friendly legal advice. I’ve been helping clients in the Wheatland area and throughout northern California obtain full compensation for their personal injury and wrongful death cases since 1982. I’m a proud member of the Million Dollar Advocates Forum and the Top One Percent, a National Association of Distinguished Counsel. You can learn more about us by reading our past verdicts or settlements and client reviews on Yelp, Avvo, and Google.